The Hague System Water Softeners are a complete house water treatment softener conditioner designed to provide crystal clear soft great tasting water for your home. Its patened high efficiency design means you will use less salt, water and time when compared to other conventional water softeners. The Hague Watermax and Maximizer water softener conditioners are one of the most efficient and reliable water treatment systems on the domestic market today backed with the Hague Water Quality which offers a truly innovative water treatment technology. It incorporates a built-in self back-washing filter which removes sediment and debris down to 20 microns and requires no cartridge change or maintenance. It even has the ability to reduce ferrous iron upto 10ppm (10,000 micro-grams) due to the patented mineral tank unlike any other water softener conditioners on the market today. The Hague Maximizer 410 is designed to fit under a kitchen cabinet and is ideal for small to medium sized familes. The Hauge Maximizer 7180 is larger, will not fit under a kitchen cabinet without some degree of modifications to the furniture. This unit is ideal for larger families or for exceptionally hard water areas. 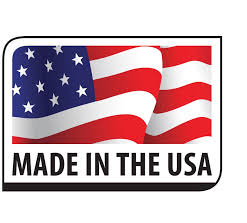 All products are manufactuered in the United States under stringent testing facilities so you are guaranteed of a water treatment system that is built to last. Hague products are covered by a 10 year and 25 year limited warranty for peace of mind, a testament to their reliability. Hague Water Treatment Systems require commissioning and installation by an authorised dealer / installer like ECP Group, please contact us for further advice and assistance. The Hague Maximizer 410 is a complete whole house water treatment .. The Hague Maximizer 7180 is a complete whole house water treatment..